Y'all, Fall is my favorite time of the year for more reasons than just shopping. . .but the shopping is a great reason! Today I rounded up several of my favorite picks, with links so you can shop them for yourselves! This striped coatigan (yes, that's what it's really called) from LOFT looks so warm and cozy. I picture myself wearing it in the classroom with some black skinny pants, a neutral tank, and either boots or flats. It would be perfect for lounging around too! I picked out several dresses for y'all, including two shirt dresses which are my favorite! The chambray one is from JCrew Factory & comes in under $50, the olive plaid one is under $30 from Old Navy. These are perfect for pairing with sandals or wedges now and boots and leggings in the Fall. 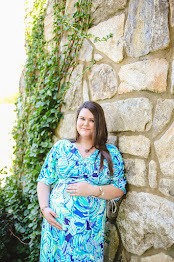 The swing dress I included (in a gorgeous jewel tone) is a simple staple that every girl should have! I love pairing all of those dresses above with vests when the weather gets a little cooler. These two picks are from JCrew Factory. I have the navy one and it goes with everything, the utility vest is next on my wishlist-that color is fab for Fall! I LOVE the new Lilly Pulitzer release, Southern Charm is one of my favorite classic prints and they brought it back in an Elsa (which is my favorite style top from Lilly). Although the colors are bright, I think they can be carried well into the Fall with skinny jeans. These booties would be the perfect addition to the Elsa and skinny jean combo, but they would also look adorable with any of the dresses mentioned above. As for Fall accessories, fringe and tassels are going strong. The necklace, which is a long pendant is only $15 right now from BaubleBar, which is a steal! The earrings are the perfect jewel tone, with just a little bit of crystal. I love the wine color of the Parker Satchel from Gigi NY, it's such a luxurious bag with lots of pockets so it would be perfect for a teacher bag or work bag. I hope y'all enjoyed this little roundup and you found some good Fall goodies! I'm loving your fall picks... I need those earrings pronto! Really love the color of that bag, it is fall perfection! Wine is one of my favorite fall shades! The tassel earrings are my fav - love your picks for the Fall! Great selection! I especially like the necklace, dresses, and bag! Love these fall staples! I absolutely love shirt dresses!! I'll definitely be hopping over to check it out :) Thanks for stopping by! Love the striped coatigan and the booties! Isn't Fall fashion the best? Love it all! 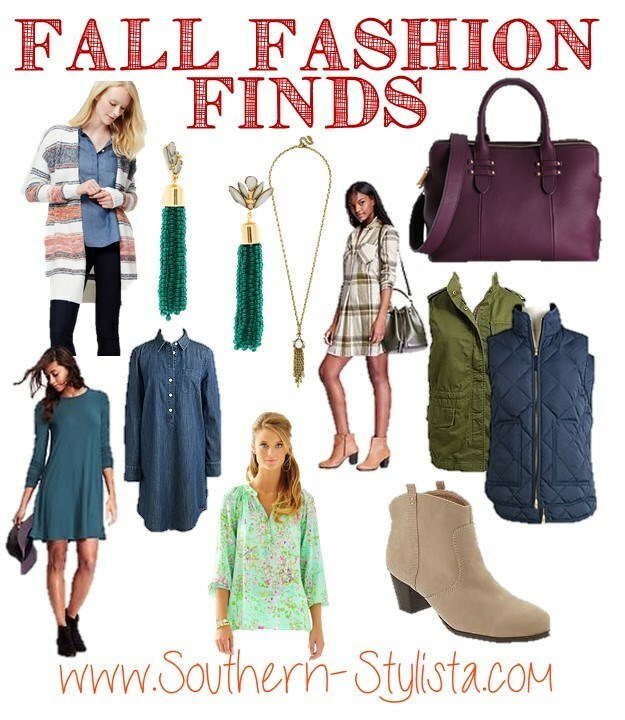 Fall fashion is seriously my fave, I can't wait until it gets cool enough in alabama to pull out some of my favorite pieces!